Bowling Green dropped in both of this week’s national polls announced Monday. The Falcons were tied for eighth in the U.S. College Hockey Online Top 20 and ninth in the USA Today/USA Hockey Magazine Top 15. 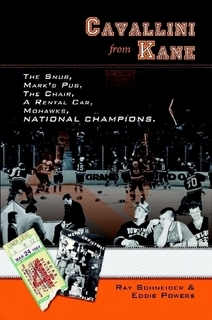 They remained sixth in both polls last week, despite splitting with Lake Superior in the Ice Arena. But BG fell in both polls after recording a loss and a tie at Bemidji State over the weekend. Bemidji posted a 5-2 win in Game 1 and overcame a 2-0 deficit in the final four minutes in Game 2 to earn a 2-2 tie. In the USCHO voting, the Falcons received 606 points, compared to 686 last week. In the USA Today voting, BG totaled 255 points, compared to 325 last week. The Falcons are 15-6-5 overall and 11-4-3 in the Western Collegiate Hockey Association, but only 2-3-2 in their last seven games. BG is third in the WCHA with 25 points, six behind second place Michigan Tech and five ahead of fourth place Northern Michigan. BG has two games in hand on both Tech and NMU. WCHA leader Minnesota State was first in both polls, while Tech was fifth. 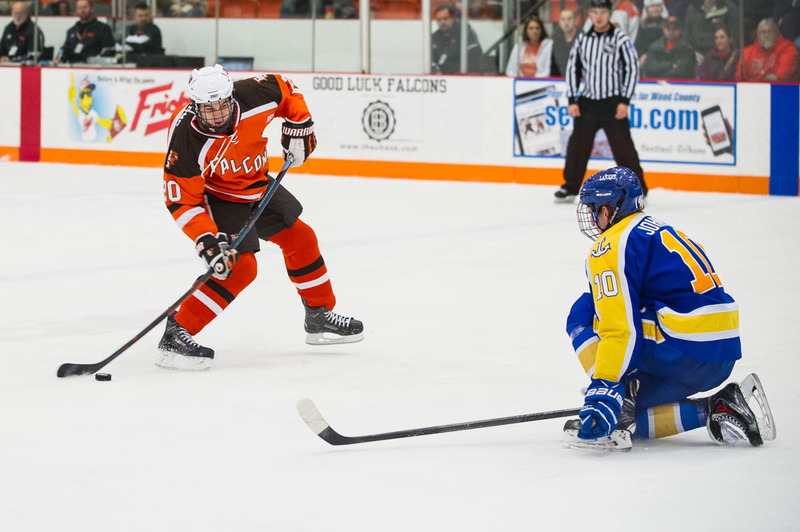 The Falcons host Ferris State in a WCHA series Friday and Saturday nights at 7:07.